Create a culture of leadership that aligns and engages your team. While many practices identify quality customer service as a strength, few appropriately leverage this strength as a marketing tool to grow their practice. The goal of this article is to outline four steps to systematically create and leverage customer service to grow your practice. These steps include: empowering your staff, creating meaningful relationships, measuring customer service, and leveraging Promoters. Before you can deliver outstanding customer service, you must first deliver outstanding service for your staff to create staff loyalty. The concept that the patient or customer comes second is simple but important. You must take great care of your staff if you expect them to provide outstanding customer service in return. Your staff must understand the organization’s vision, values, and purpose and must feel valued members of a team. Staff members who are engaged can then be empowered to deliver outstanding service as ambassadors for the company while striving to achieve a meaningful vision. Staff must also be provided with adequate training and resources to deliver great customer service and create customer loyalty. Training does not need to be complicated. It can be as simple as creating checklists to create consistent customer experiences. Involve your staff in creating expectations for customer service. Examples may include using the customer’s name, making eye contact and smiling, efficient registration processes, and exhibiting genuine interest in the patient beyond their injury and care. AIDET is an acronym often used in health care. It stands for Acknowledge, Introduce, Duration, Explain, and Thank. Acknowledge. Acknowledge the patient by his or her name. Introduce. Introduce yourself politely. Introduce the patient to other staff as well. Duration. Let patients know approximate wait times, appointment length, and anticipated length for their total course of care. Explain. This applies to everything from the intake process to treatments, techniques, and exercises. Explain why you are doing what you are doing and the anticipated outcome. Thank. Thank the patient for choosing your company. Thank them for working hard. Find a reason to thank them at each visit. Once you have created a loyal staff and have taken care of basic customer service, look for opportunities to move from transactional to meaningful relationships. Meaningful relationships move beyond the exchange of goods. This process can be as simple as building genuine relationships with customers or creating emotional experiences that exceed the value they expect to receive. Create “wows” by delivering a hand-signed birthday card. Place actual phone calls four weeks after discharge to check on past patients. Send a personal note two months after discharge wishing the patient well. Meaningful relationships are rewarding for staff as well. Encourage staff to listen to patient needs and build meaningful relations with your customers. Just like treating a patient, objective measures are essential for goal setting and to identify opportunities for improvement. It can be valuable to survey patients early in their treatment, so any issues or dissatisfaction can be addressed. 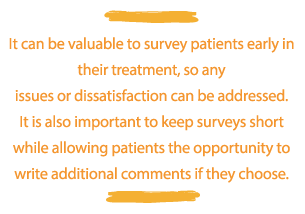 It is also important to keep surveys short while allowing patients the opportunity to write additional comments if they choose. One of the simplest and most common measures of customer service is known as the Net Promoter Score or NPS. NPS is a management tool that can be used to gauge the loyalty of customers. It serves as an alternative to traditional customer satisfaction measurements and has been widely adopted by more than two thirds of Fortune 1000 companies. NPS is calculated based on a single question: How likely is it that you would recommend our company to a friend or colleague? Individuals who respond with a score of 9 to 10 are called Promoters and are considered likely to remain a customer longer, return for additional services in the future, and tell others about your company. Those who respond with a score of 0 to 6 are labeled Detractors and are likely to share their bad experience with friend and colleagues. Responses of 7 and 8 are labeled Passives. Passives lack loyalty to your company and are vulnerable to offerings from competitors. Once you have started measuring your overall score, you can set organizational goals to improve. You can also adapt standard actions for each customer based on their individual NPS. Detractors may require immediate service recovery. Knowing responses early in a course of treatment provides time to discover what went wrong and how you can fix the situation. Even if the problem cannot be resolved, just reaching out to patients has a positive impact on their perception and future scores. Passives are sending a message that while you are doing okay, you need to step it up in order to turn them into Promoters. Promoters are customers who have had a great experience and have potential to market on your behalf. Twenty years ago, while the internet was in its infancy and Mark Zuckerberg was in junior high, companies relied on word of mouth to leverage customer service. Owners handed out business cards in hopes that loyal customers would be more likely to refer a friend or family member in the future. Testimonials were used in brochures and delivered to physicians but were hardly leveraged in comparison to today’s opportunities. 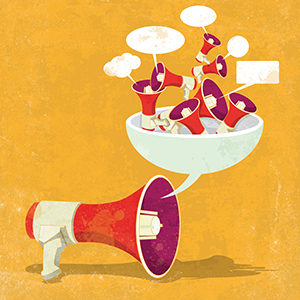 The concept of leveraging Promoters is similar today but requires an understanding of new channels for communication. It is essential to stay top of mind with Promoters. Follow-up notes, birthday cards, and occasionally checking in on their past injury are all great opportunities to stay connected. The next step is to provide this group with additional knowledge that will help them promote your practice. This can be as simple as educating them on direct access and conditions that benefit from physical therapy. Let them know about upcoming programs, free screens, and community events that they may be interested in or may want to pass on to a friend. Because Promoters love your staff and company, they are more likely to fill out reviews when the link is presented in a convenient and friendly email. Since you already know these patients rated you highly in the NPS, they are likely to leave positive ratings and reviews online. Sending these patients links to online reviews increases the rate at which patients share their positive experiences with others. This practice provides your customers with a megaphone to share positive reviews and enhances your search engine optimization (SEO) at the same time. Leveraging Promoters may seem daunting without a system that helps patient relation management (PRM). Thankfully, a few entrepreneurial therapists have helped solve that problem by bringing automated PRM to the physical therapy industry by interfacing with clinic electronic medical records (EMRs) to provide regular touchpoints with patients. 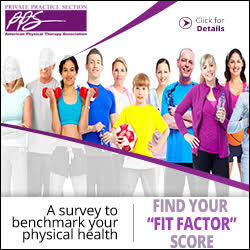 Such systems, available for purchase for physical therapists, allow customization of messages by patient age, gender, diagnosis, and even Net Promoter Score that would be tough to manage and replicate manually. Reichheld F, Markey R. The Ultimate Question 2.0: How Net Promoter Companies Thrive in a Customer-Driven World. Boston: Harvard Business Review Press; 2011. Emily Bagby is a senior marketing and practice liaison consultant with 8150 Advisors and Mill Creek Consulting. She can be reached at Emily@8150advisors.com.